As part of the area development approach of Bantay Kalikasan and the Ipasa ang Pag-asa project of the Calategas Farmers Marketing Cooperative (CFMC), badly needed assistance was given to the Damsite Child Development Center in Calategas, Narra, Palawan. 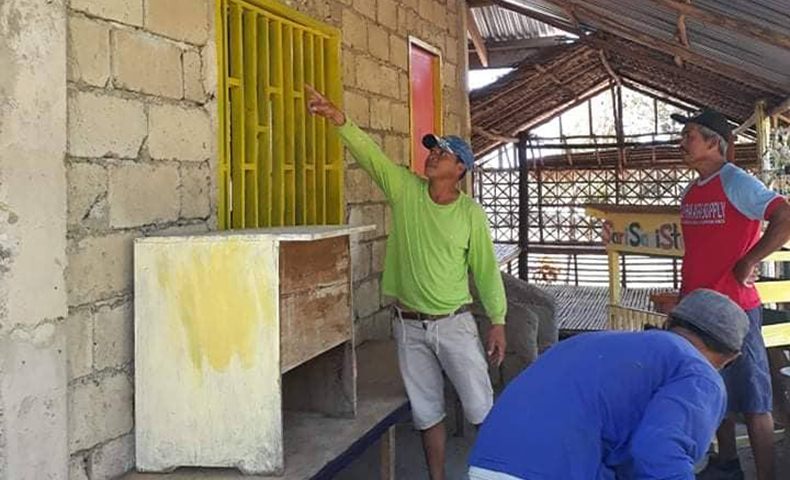 In late 2018, Corazon Magbanua, Child Development Worker expressed the need for repairs to be done in the daycare center. CFMC, through its President, Danny Cabiguen, without hesitation volunteered to do all the labor components needed. This is one way for them too to spread the hope and joy that they they experienced through the post harvest facility that they received as part of their partnership with Bantay Kalikasan. Corazon Magbanua shared last March 1 her joy and gratitude for the support that their daycare center has received. 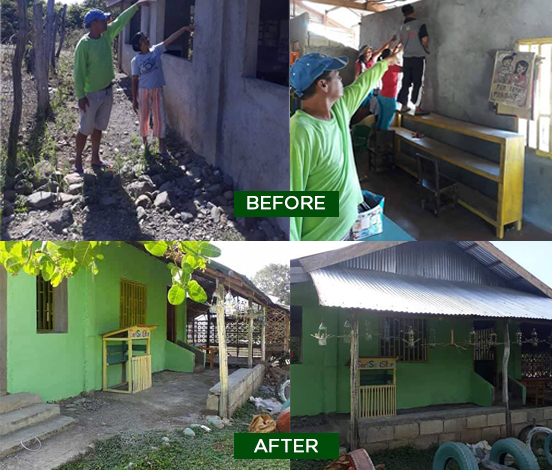 She happily reported that the donation was used for 1-unit TV set used for enrichment learning, 2 units of wall fan, 10 gallons of paint, 10 bags of cement, and 30 meters of floor mat. CFMC provided all the labor and additional fine sand. Twenty-two (22) daycare students aged 3-4 years old benefit from the improved learning environment.